Today’s fast-paced lifestyle is fast turning into a life of compromises. On the one hand, living in the metropolis opens up a world of opportunities to better one’s life and help secure a bright future for one’s family. However, constantly engaging in the urban rat race can take its toll on one’s health and overall well-being. This is what DMCI Homes, the country’s leader in the residential condominium development, had in mind when it conceived Flair Towers. Flair Towers is set to deliver the best of both worlds. 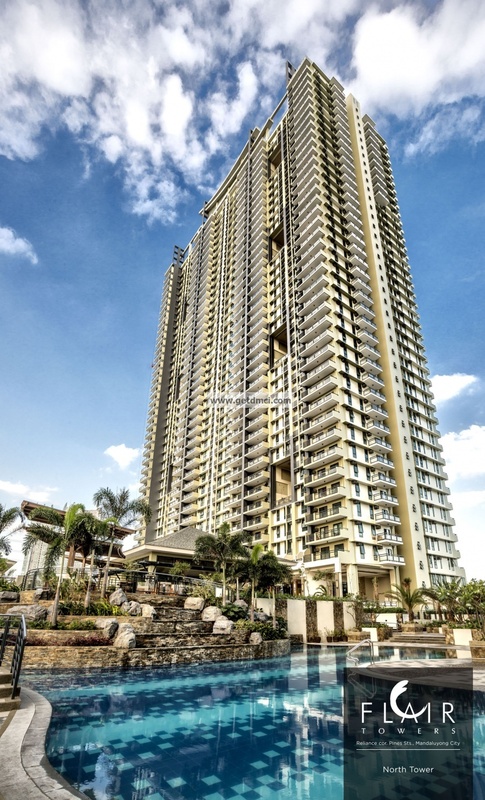 Flair Towers, a two tower residential development, is ideally situated right in the heart of the action—thriving Mandaluyong City. Dubbed as the “Tiger City of the Philippines”, Mandaluyong City takes pride in being centrally located between the “Golden Triangle” made up of Makati, Quezon City, and Manila. Moreover, it is accessible from the bustling Makati, Ortigas, and Fort Bonifacio Global City Central Business Districts (CBDs). As if this wasn’t enough, it likewise boasts of having a number of first-rate schools, hospitals and shopping and leisure establishments right within a convenient “3-kilometer zone” radius. The 1.4-hectare property is nestled right at the corner of Reliance and Pines Streets. This makes it reachable to the major thoroughfares of EDSA, Shaw Boulevard and Pioneer, making it a breeze for residents, whether they have their own private vehicles or need to rely on public transportation. Thus, Flair Towers is the ideal location for families and urban professionals that place accessibility and safety at the top of their home shopping list. Parents and single folk need not worry about traveling too far or wasting too much time being stuck in traffic just to get to and come home from work. Meanwhile, the young ones don’t need to get up too early just to get to school; they likewise don’t need to come home too late at day’s end. 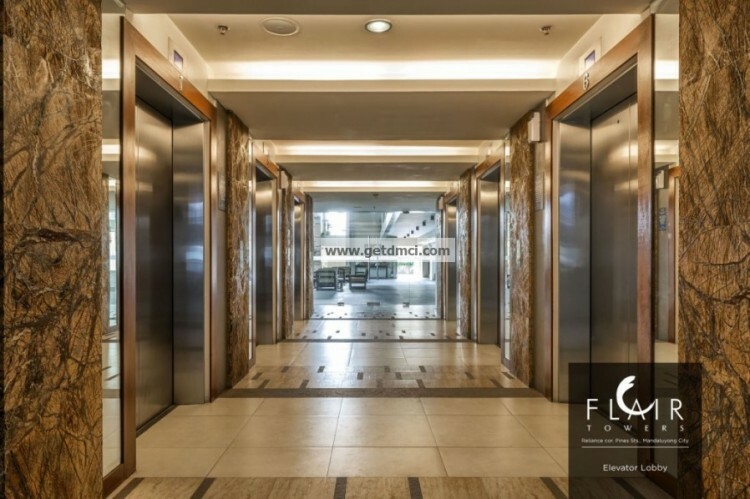 While Flair Towers may be right at the heart of the Metro, it is set to lay claim to being the only high-rise residential development offering resort-style amenities both inside and out. Each tower features modern design and amenities mixed with a “tropical touch”. Common areas boast of Wi-Fi connectivity, though set within a relaxing environment exuding a soothing ambience. Function rooms, meanwhile, can be used by residents who want to hold meetings or gatherings with family and friends, without going too far from home. Music lovers will delight in the South Tower’s very own music room and health buffs will have a blast getting in shape at the fitness gym. 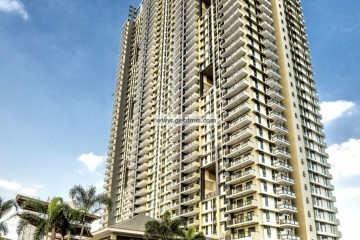 Flair Towers is naturally fitted with DMCI Homes’ “Lumiventt” design technology. The Lumiventt concept makes full use of the natural elements–light (Lumen) and air (Ventus)—and allows each one to flow freely in common areas as well as within each of the residential units. Moreover, both 41-storey towers are equipped with the Lumiventt-trademark Sky Patio (three-storey-high openings at the front and rear, at every five floors) and an Observatory or Roof deck. Lush landscaping within each of the Sky Patios, central atriums, and Observatory further contribute to relaxation and well-being. An ideal location, an upscale and relaxing home environment and a value-friendly price—modern Filipino homebuyers will get only the real deal at Flair Towers. 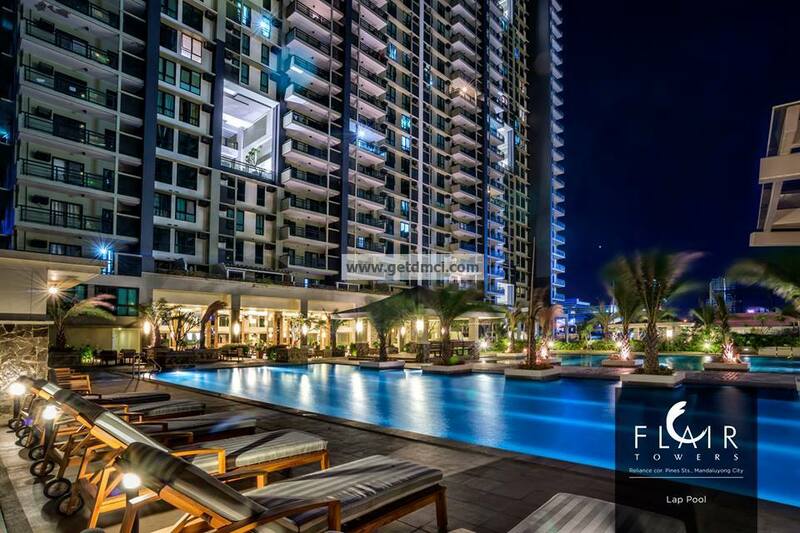 Flair Towers is a premier condo community project of DMCI Homes — a company of innovative builders and engineering experts who develop modern day living solutions for urban families. Each of their developments is built with world-standard craftsmanship borne from its parent company’s almost 60 years of expertise in the construction and development industry. Its corporate philosophy is anchored on a deep understanding that buying a home is more about investing in a better way of living. Flair Towers is the perfect validation of this timely proposition. Thanks to this feature-rich, ideally located community in Mandaluyong City, residents can finally enjoy a more comfortable and meaningful way of life where they can feel real good to be home.